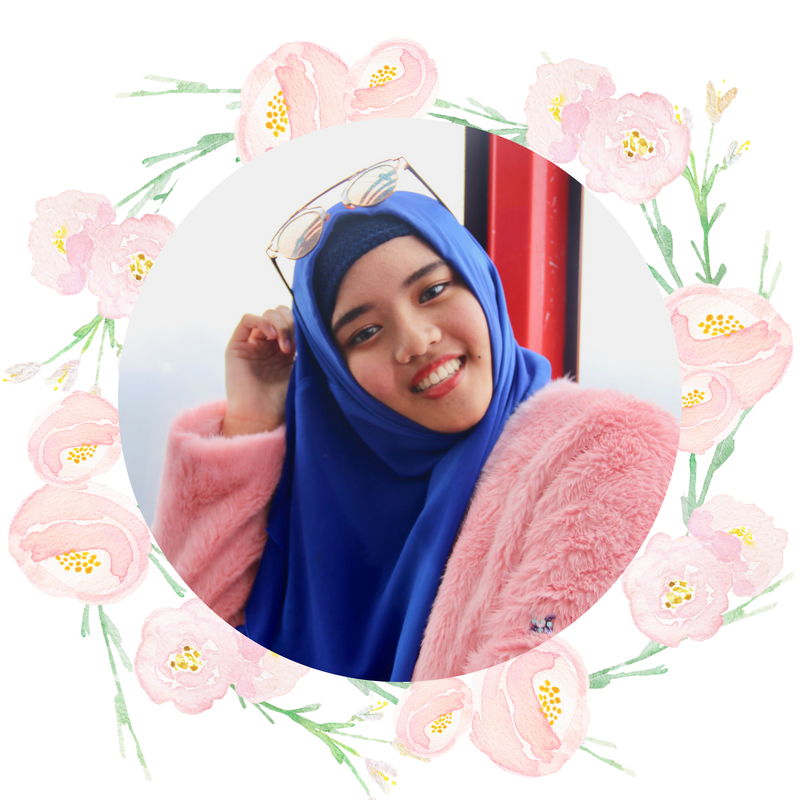 This is for all my muslim girls here, I am starting a new series about hijab on the blog called Finding Your Hijab Fashion! This series will be dedicated to any of the new hijabis out there but of course will benefit any hijabi whether new or experienced. And what’s more fitting than to start it with the 5 things you should know or do before deciding to wear the hijab, right? The shoot featured in this post features me and my dearest mother! Just in case you wanted to know. The truth is, not everyone starts using the hijab at a young age. The majority grow up having to finally make up their mind at a more mature age which means thoughts, emotions, and maybe even uncertainty can take over their minds. I am not part of that majority. I started using the hijab at 7 years old. So that makes it about 9 years since I started and I thank my little self for making that step at such a young age. Mashallah, little Conchita. Since this post is not about me, let’s just wrap up my story by saying that I have had a good amount of experience being a hijaber. Read about my hijab story on an upcoming post so stay tuned! 1 The Hijab Is Not An Accessory. Period. The hijab is not some “accessory” that one day you decide to use and the next day, no. There is no inbetween position when you finally decide to use the hijab. You either decide to start using the hijab or you don’t. It makes everyone confused and in the end, people will think lightly about your commitment to the hijab. Most importantly, God, Allah will not be pleased with it. Sorry to be harsh, but if we aren’t going to be committed to using the hijab, why start using it in the first place? When you first start, it’s all because of the the hijab, the hijab, and the hijab. How should I put it? It’s too hot today with the hijab. I’m so lazy today. This is too hard. I don’t look good though? These thoughts are normal, let them come. But think. Even on those days you don’t know what to wear, you still manage to pick a shirt. When it’s hot outside, you find an outfit that’s light. On lazy days, you were able to pick a “comfy” look. Even on the days you don’t feel like you look bomb, you still have the courage to get out of the house. Don’t make the hijab into a burden that isn’t its purpose. Deciding to wear the hijab will take some effort to adjust it your lifestyle and everyday life. You have to start thinking of the hijab as a necessity just like the shirt you put over your body and the shoes you wear for your feet. Find ways that you can adjust your day-to-day fashion to the hijab. Try to find styles of outfits (with hijab) or even just the hijab itself that can fits your needs. Just to put it out there, bad hijab days are a thing. Even when it’s not entirely noticeable. I’ve had it many times in my 9 years. But that’s the amazing thing. No one notices when you’re having a bad outfit or hijab day…but yourself. Hijab and muslimah fashion has come a long way from where it had started back when I started. There’s so much more options and now huge stores solely dedicated to hijabers! Amazing, right? With that, many styles and “fashion” for us hijabers have been innovated and even invented. Not everyone’s fashion is our cup of tea so…we gotta take the initiative to find our cup. I wanted to mention something after reading The Problem with ‘Hijabi Fashion’ which is a great article that got me thinking. Everyone is in different stages of using the hijab. Like me, I started by just worrying about covering. That’s all. I still wore skinny jeans and tight stuff. But I have grown to be only comfortable in skirts (while I still use pants when absolutely necessary). I don’t even remember the last time I wore jeans and I’m sure that they have been thrown out years ago. 1 Cover my chest with the hijab, a scarf, or capes, etc. 2 Cover my behind just by using a skirt or with cardigans, jackets, etc. 3 Nothing body-fitting or tight. 4 Only my hands and face are allowed to be seen. So, just a heads up. Yes, you will find hijabis with different styles that may or may not follow all the rules but we’re all in this together. We’re all progressing to that stage. And that’s okay. Anyways, find your style. Get some inspiration from the people around you. Follow all the many muslimah Bloggers, Instagrammers, YouTubers who you can look up to for ideas. Or you know…I could help you too just contact me, I’m one click away! Anything that will get you pumped about your hijab outfit everyday, find it and do it. For example, my style is feminine but chic. I love to play around with different jacket styles and boots to bring in that “chic” to my mostly feminine style. I also love bows, flower crowns, and CAT EARS to add some fun touches to my outfit. Ah. Also a smile comes with every outfit as well. 3 a) You will get comments on it. Good or bad. It’s hard to avoid whether we like it or not but you just have to accept it and then keep on going. If it was a good comment, Alhamdulillah. Say thank you to the person. A bad comment? Ignore it, there’s really no other way. Smile and leave. Lastly, a comment that’s neither? Oh. Well, that totally brought your mood down, huh? Then you start to think about it. Am I ugly with the -? Don’t even finish that thought. I’m here to say that your beauty did not decrease because of the hijab. What is the point of trying to please humans when Allah sees you as beautiful when you use the hijab? That’s enough of a thought that will stop you from undermining your beauty. b) You think people are commenting but in reality, they’re probably not. You’ll understand once you experience it. It’s normal in the first week that people will comment behind your back about the hijab but after that one week, I guarantee that they’ll stop. It’ll be normal for them after a few days of seeing you wearing the hijab. There is no need to feel awkward or shy about it. So give yourself a break and relax. You don’t have to self-conscious because with time, the people around you will start to accept it. 4 Start NOW Before It’s Too Late. The ideal time to fully start wearing the hijab is when a young girl starts her menstrual cycle. Note: No. I did not get mine at 7 years old that is not the reason I started using the hijab. But I am aware not every girl follows this. What I mean by “too late” is not some time constraint instead, it is more of a mental constraint. The longer you dismiss the hijab, the harder it gets to ever start. It’s not easy to start wearing the hijab when you first decide to commit to it. Developing a connection, building confidence, and being comfortable with the hijab takes awhile. It’s not something that comes easy for everyone. And the older you get, the more you’re used to your normal life without the hijab. You’ll be so used to the normal lifestyle that it could turn starting to use the hijab into a huge burden. That’s not what we want. It will be harder to ingrain the mindset that you’re using the hijab for you and yourself, not because you have to. It is important to have that mindset because it will make using the hijab so much more peaceful for you. Once you have all the things you need to start as a hijabi (scarfs, clothes, skirts, etc. ), start right there and then. Don’t wait. What have you got to lose? You have everything, you can start right away. And don’t look back. 5 Protect it. Own it. This is my very, personal advice to you that I came to write about based on what happened to me. Disclaimer: This is an American international school, you’ll understand why you need to know that later. In case anyone from school reads this…and to my readers as well. The school I’m talking about is about my current school but I have absolutely no grudge against them. I’m in peace as I write about this all. There is no hatred whatsoever blah, blah, blah…I think we all got the point. I’m not that kind of girl to be that way. Since 6th or 7th Grade, I always used a hijab style that would cover my chest which results in covering the school logo on my shirt. No one cared in middle school or even in 9th Grade (first year of high school). Until the middle 10th Grade came by that is. The principal approached me and asked me to go to his office. There, he asked why I cover my logo all the time. Sudden questions like that make me tear up and especially anything about what I wear that has to do with religion and my views. So yes…I teared up that day. Just a little. I’m such an emotional person, aren’t I? But anyway, I was still able to speak. I told him that this was for religion and that I am not comfortable without covering all the shirts I wear with the hijab. That was how I’ve been living for 4-5 years and I would feel extremely anxious if I had to put my hijab off to the side. I told him that but he still insisted. He gave the typical “but so-so also wears the hijab but doesn’t *insert whatever you do differently*”. All hijabers are different in what they value or rules that they follow, I explained. Just because we all cover our hair doesn’t mean we view it the same way. He let me go because I was basically crying. BUT the next day, the counselor was the one to talk to me. Like that helped in anyway. I persisted. I would never “push my hijab to the side” just for the sake of a logo even if the director asked me to. After that day, none of them bothered me again. There were no follow-up meetings either so I just assumed they understood that there would be no way to persuade me. The lesson from that story? Have pride in your hijab. Do not ever let anyone treat it easily. Show them that the hijab isn’t an accessory to you but a treasure. I did feel mad that time that they talked about the hijab so carelessly but I forgave them because how would they know? How would they know that the hijab is more than just something I wear. But something I cherish, find protection and comfort in. Show people out there that you care and love the hijab. Everyday. Walk with confidence, you have nothing to lose. Do not think of the hijab as an accessory. When you commit to it, commit to it 100%. Take time to find your inspirations through friends, family, and social media. Plan out some outfits of your own. People will comment about your hijab but as time passes, they’ll stop. Start before you get too comfortable living life without the hijab. It will be so much better for you and your journey. Be proud of your hijab and protect it. Always. The longer you dismiss the hijab, the harder it gets to ever start. Just because we all cover our hair doesn’t mean we view it the same way. This post is amazing, literally the most informative piece of information I’ve ever seen about Hijab. you look gorgeous girl, and you own it! Lovely pictures ! I never know these info .. Thank you for sharing ! Being a non-Muslim I always had been curious about Hijab. This was a really informative piece of article. These are lovely! And you make an excellent point: with a hijab a woman is just as beautiful as without, and vice versa. Thanks for posting! I am really touched by this article. Beloved this post was so interesting and informative. You and your mom look so beautiful in your hijabs. Thank you so much for sharing! I learned so much from this post. Wow alhamdullilah! I’m so happy my tips have helped you become more confident and sure about your decision. May God give you blessings as well. I am so happy for you! Please, if you need anymore help or tips feel free to contact me!